Handyman garage doors in Freehold, NJ is the premier installation and repair company. We service the whole Freehold area including Freehold Township and Freehold Borough. 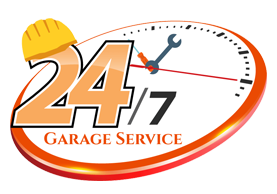 Handyman garage doors services include anything and everything. No job is too hard for us to complete. Our technicians specialize in all different types of repairs and installations. These services include. When it comes to overhead garage doors Freehold, NJ we are the pro’s. There are several moving parts to every overhead garage door. Every overhead door can be a different size, color, style and insulation. It is always the customer’s choice regarding what type of door they want. Handyman garage doors will help consult the best options and specs for the price your budget. Call today! Technology has made life easier and more convenient. This is why adding an opener into the mix is a great option. Your garage door is a main entrance to your house and your belongings. Being able to control if the garage door is open or closed is a great spec. You don’t need to be at home to activate your garage door to close and lock if you have an opener application.